I admit that sometimes I might be a little too keen to get rid of binders. Maybe I'm a bit weird in that respect, but in the past it's been a way for me to enjoy some variety without owning too large a collection. I have owned a wonderful red A5 Ascot before, but sold it during a period when I'd decided that the A5 size wasn't for me. I've since realised that it's always useful for me to own one A5, so I jumped at the chance to own another Ascot when I was offered one recently by the lovely Vanessa. In comparison to my previous one, it's a wonderful brown that reminds me of conkers due to the colour and the shine. 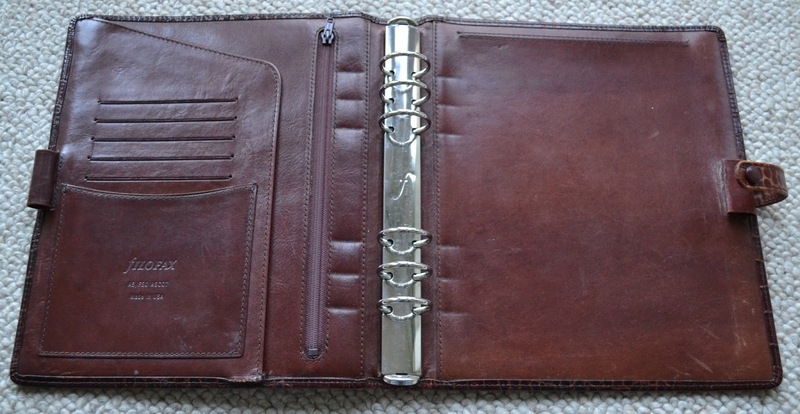 On the left hand side, there is a pen loop, full length zipped pocket, secretarial pocket, five credit card slots and a smaller slip pocket with 'Filofax A5/FSO Ascot made in the USA'. On the right hand side, there is a slot for a notepad and another pen loop. Like my previous one, this one has also had a visit to a local cobblers shop as the right hand pen loop had come undone and the bottom of the secretarial pocket had also come unstuck. When I collected it, he very kindly didn't charge me anything as he says that he charges by his hourly rate and it was just a couple of dabs of glue. Since taking this and more use, the glue at the bottom of the pocket has come unstuck again, but it's not getting any worse. If it does, I may return to ask if he could put some extra stitching over the area. 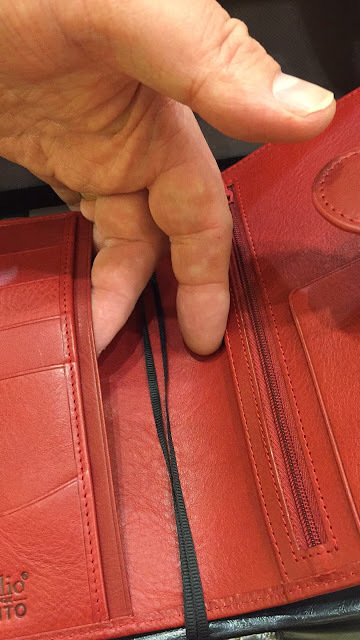 He wasn't sure if he'd be able to fix the pen loop as the surface was very hard due to a previous fix, but after he removed some of the old glue was able to. I'm quite happy with the 25mm capacity rings as personal size is my main binder, so I don't feel the need for larger rings in A5. 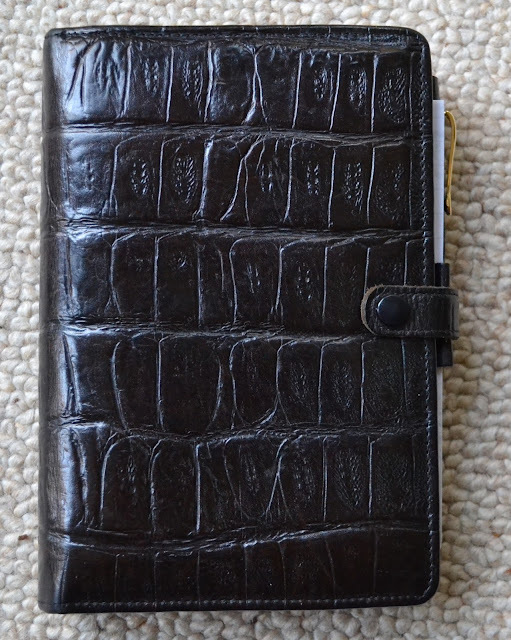 And finally some extra shots to compare the croc print with my personal Dundee. 03:10 - How long will you be away for? 24:20 - Collected business cards, what to do with them? 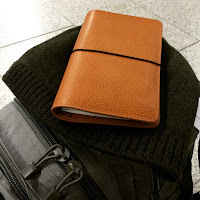 25:50 - The correct size of planner for your trip is crucial. 26:20 - Use packing lists for the return trip as well. 29:33 - The end of this episode. Naturally we would love to hear your feedback on the podcast. Hope to be chatting with you on Sunday 3 April 2016. Thank you to LilDivette for sharing with us her favourite organiser. 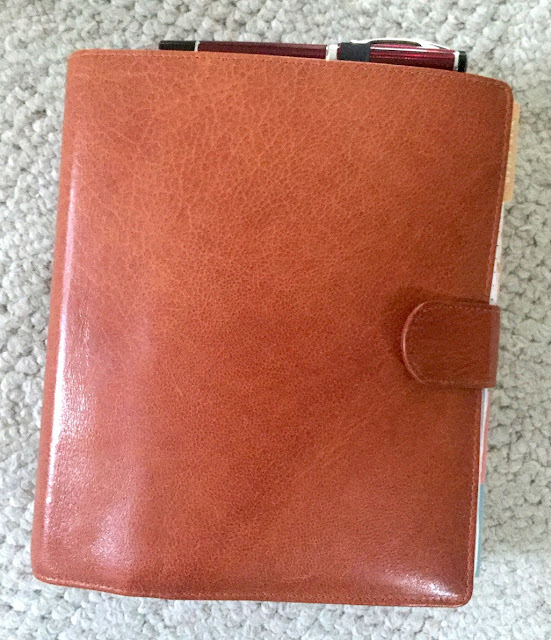 Currently my Van der Spek Touch Me Manager (A5) in Light Brown. 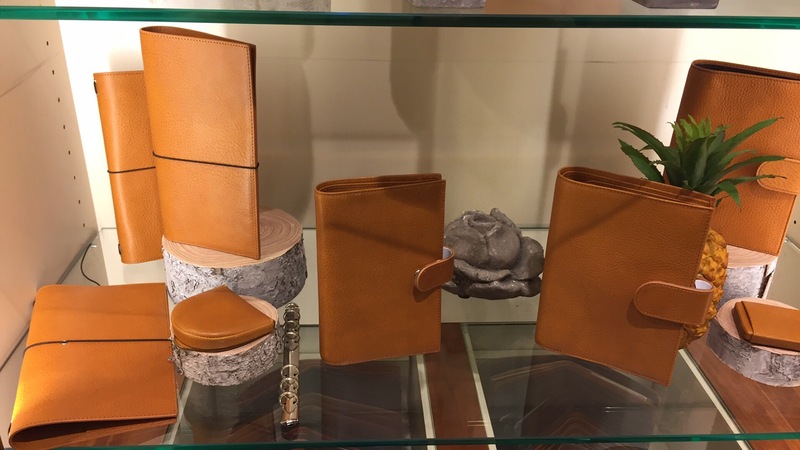 soft, high quality leather that smells divine! Every single day since I received it! It's my primary binder dedicated to personal, family, home, and fitness. 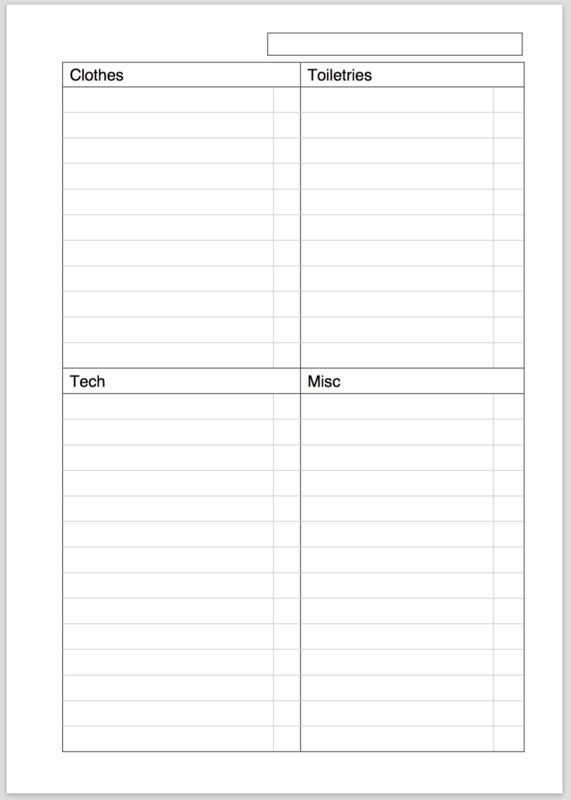 In the front, is my monthly/weekly schedules for the entire year and in the back are a variety of specialty sheets for bill tracking, goal planning, shopping lists, task lists, reference notes, and project worksheets. 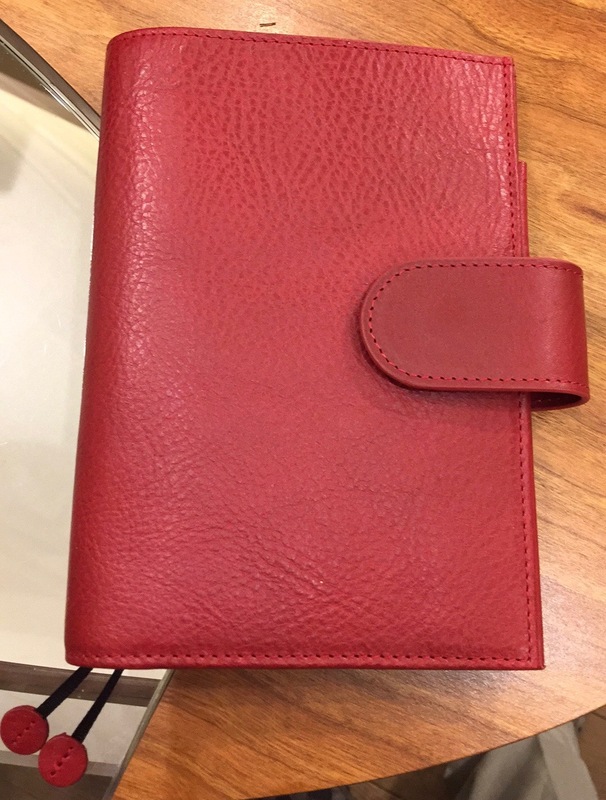 I work from home so the large size isn't a problem for me but it never leaves house--I use a personal-size planner for on-the-go. Yes, it needs LARGE pen loops! I'm a fountain pen user and had to incorporate a 'hack' to carry a large barrel fountain pen: I punched a thick, rigid piece of plastic, attached a pen loop--the ones you can pick up at any local office supply store with an adhesive backing--and added it as an insert. 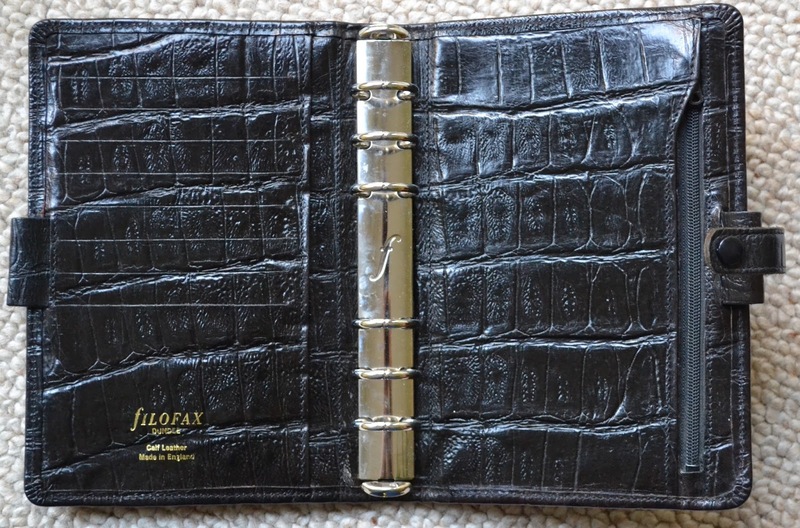 I have a recurring Planner Fantasy of using one Filofax binder for my whole life. It would be my constant companion throughout the years, and it would age alongside me. 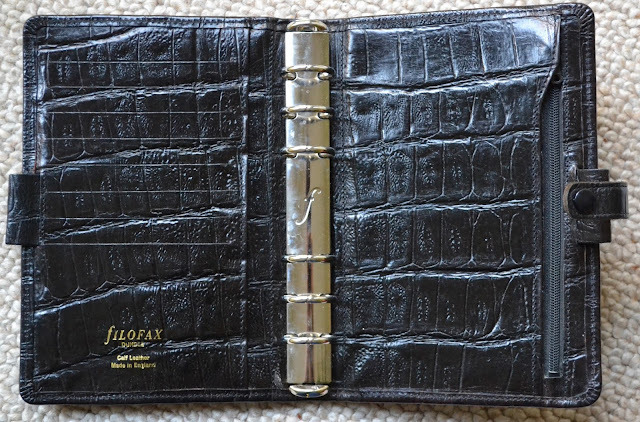 In real life, I almost had this: my first real Filofax was a black Buckingham that I used for eight years almost continuously, through lots of big life changes (pregnancy, leaving work, having a baby, moving to a different country, having another baby, moving to another different country, etc.). 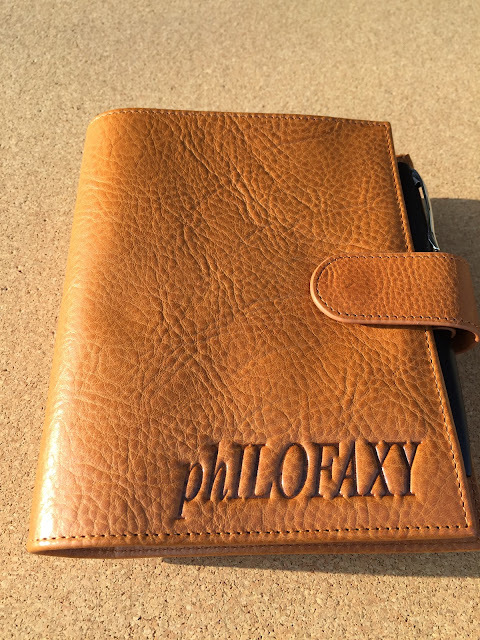 That Filofax could have been my one-and-only lifetime Filo, but I wasn't a huge fan of the black color and wanted something more representative of my personality. About 30 binders later, I'm still searching for The One. 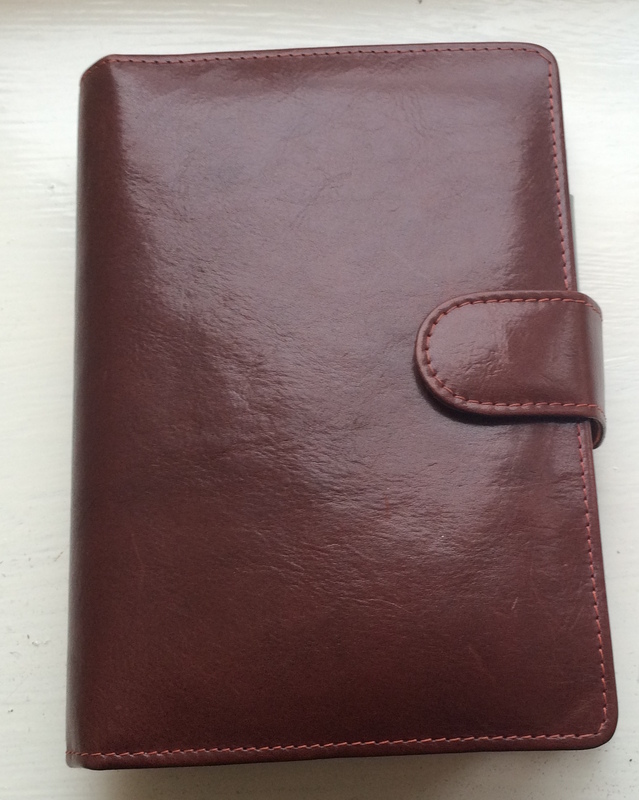 About this time last year I bought a vintage Sherwood Filofax thinking it would be my Binder For Life. I love the classic design and the soft calf leather. But it's so delicate I wouldn't feel good about subjecting it to the daily rigors of my hard-on-binders lifestyle. I think its previous owners must have felt the same way, because despite being more than 20 years old the Sherwood is still in pristine condition. 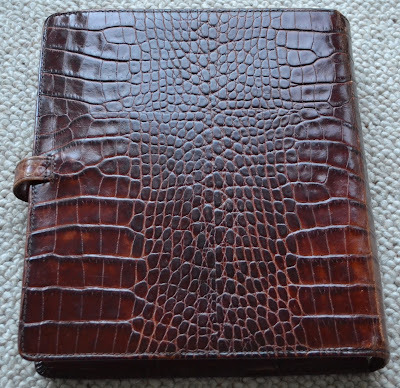 I'm thrilled to have it as part of my collection, but my daily-use binder has to be more rugged. 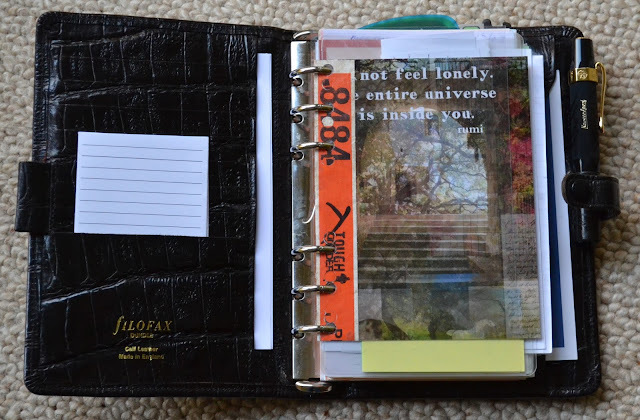 In reality, I don't think I could actually commit to a lifetime using only one binder. 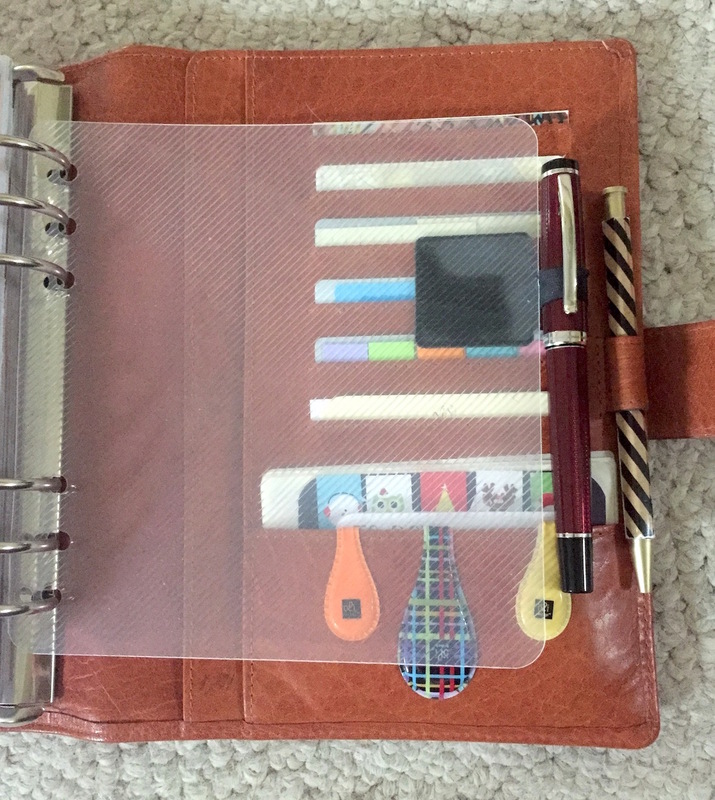 I like planner variety, and switching out binder colors, styles and sizes helps to satisfy my urge for newness. There are so many beautiful binders out there, how could I ever commit to just one? But if I did choose just one binder to use forever, I think I would choose a custom Van der Spek binder in the Undyed leather. 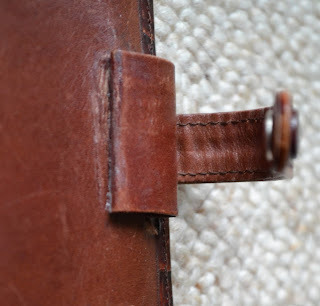 Janet Carr's photos of her Undyed binder over a period of more than a year show how the leather darkens gradually with age, and shows marks. I would love to see how the binder progressively changes over time, and ages alongside me. If you could ever choose just one, what would be your for-life binder? 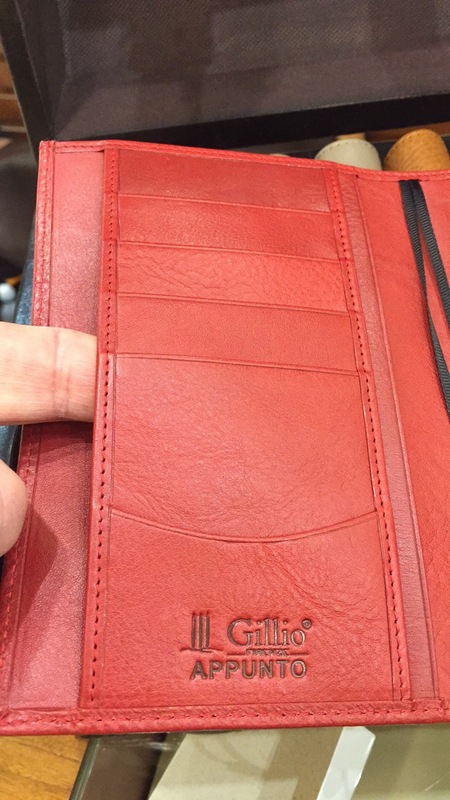 Why would you pay more than double the price of a Filofax? I was in conversation with someone in Toronto the other day and he was asking what it was I blogged about.... Oh no I thought what will they think... So I sent them the link to Philofaxy. 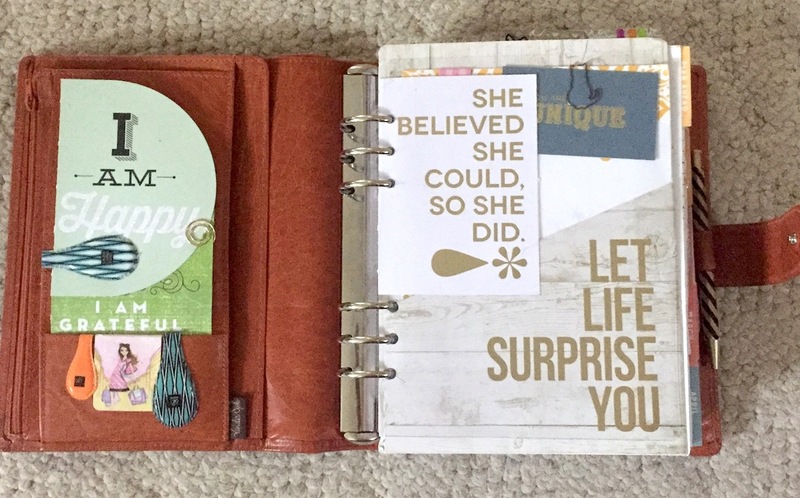 They came back with a link to a friend of theirs who had created a notebook/planner product. 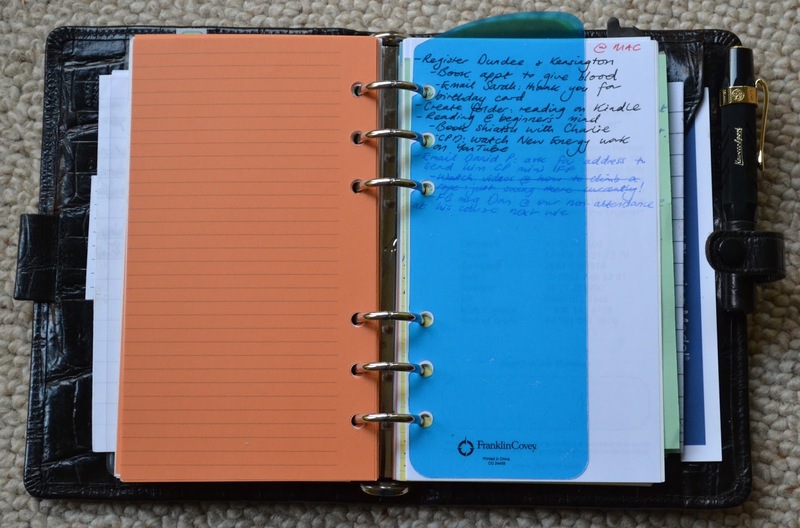 It is a customisable disc bound notebook/planner, but the way in which the discs are linked is different compared to the Arc disc bound books. So I went and had a look for myself and I was quite impressed with what I saw. The brand name is William Hannah Ltd, they are based in England and their website is very detailed and I was able to message the company to get answers to one or two questions about the products and their responses came back very quickly. 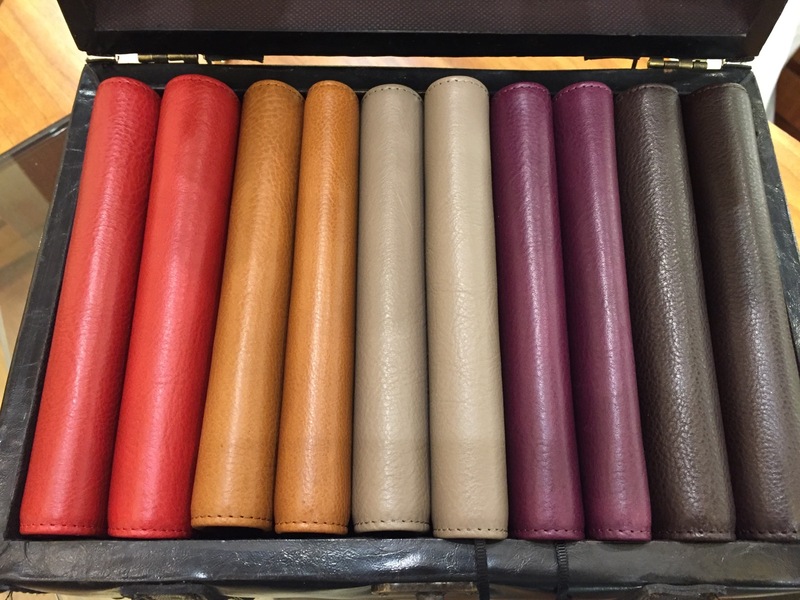 The cover is made from Italian leather and is available in 5 different exterior colours and in total there are 15 different colour combinations of exterior/interior colour. 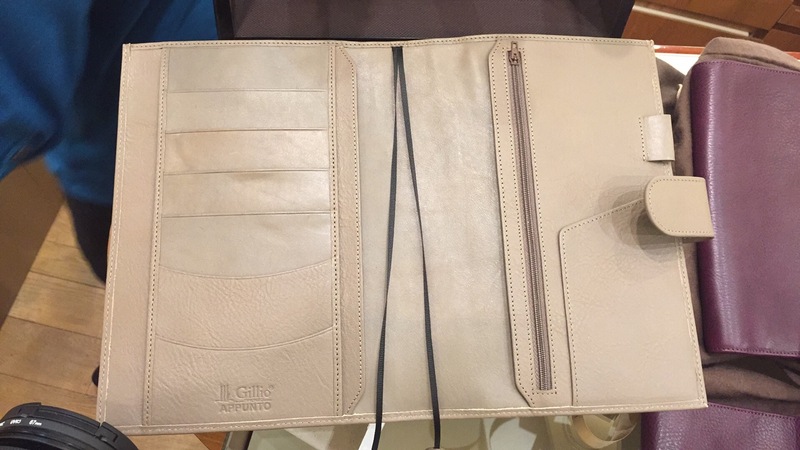 The interior is in a suede finish. It looks well made and should last a life time. The mechanism is based on a disc system but the discs are slotted on to a bar, this gives the system some rigidity not present in other disc binding systems and I think this is a definite improvement. The spacing is similar to the Staples Arc disc system but the holes in the paper are a slightly different shape. The discs are made with stainless steel so they won't rust. 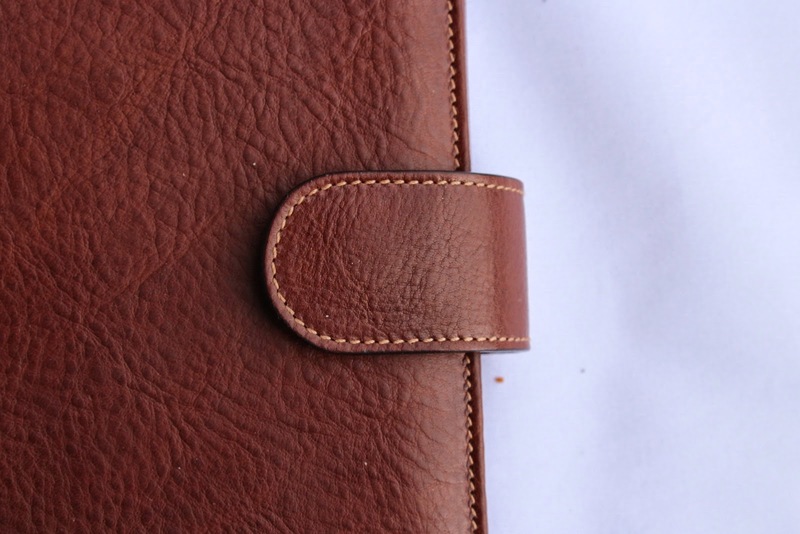 The paper and inserts use good quality 100gsm paper. It is described as having a smooth finish, so it should accept fountain pen ink quite well. Naturally this will vary depending on the nib width and type of ink. The number of inserts available include a week per page diary, undated week planners, lined paper, plain paper, graph and dotted pages, there is also a sample pack. These are all at very reasonable priced for A5 inserts on good quality paper. 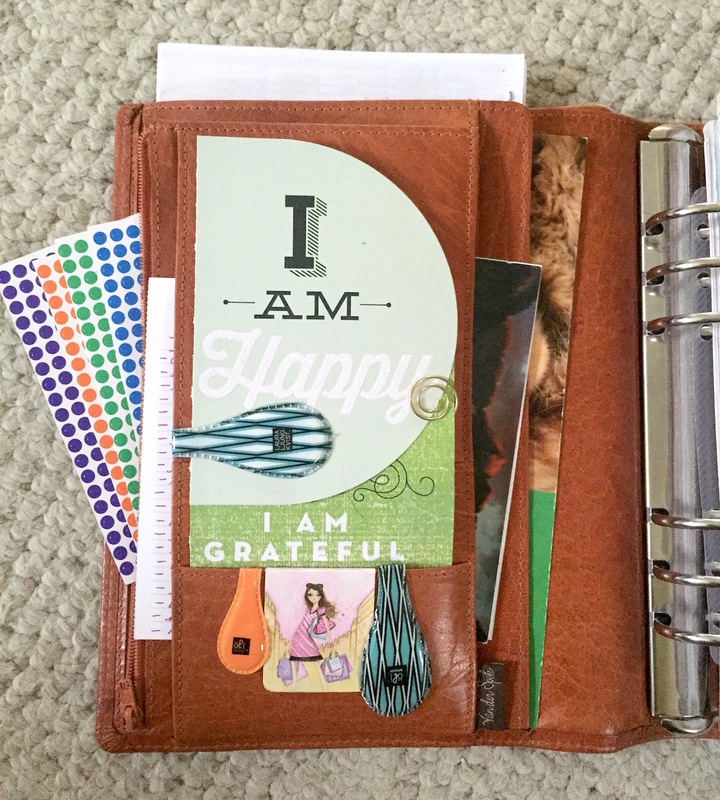 Have you ever used a disc bound planner/notebook? Thank you to William Hannah for permission to use their images in this post which are their copyright of course. 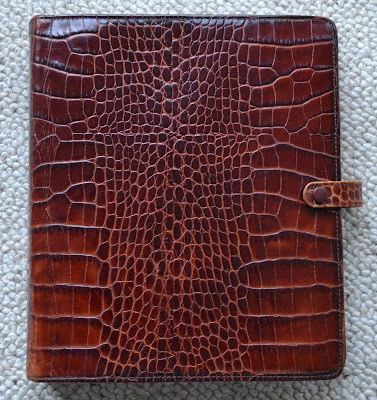 Since selling my A5 Amazona and Ascots (personal and A5), I realised that I do have a soft spot for croc print binders and missed having one. I wasn't specifically on the look out, but was surprised when I managed to pick a black personal Dundee up for a good price on eBay. I have enjoyed Janet's post about her green one and the Sewing Sloth's. I am a bit behind with my posts for here as I've been in my Dundee since purchasing it last autumn. 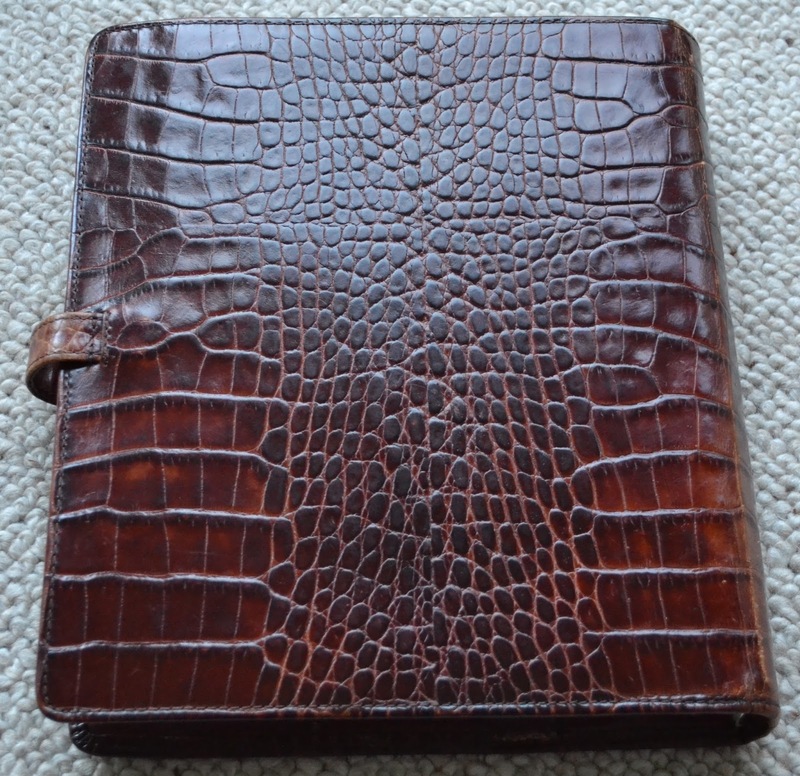 The leather is soft, slightly padded and it has some structure which I prefer in my personal sized binders. Like the personal Ascot, it has a very slim profile which I like and lies flat. The seller described it as having 'a nice patina' on the eBay listing, but that translated in real life to a bit beaten up! I gave it a wipe with a damp cloth, put on some neatsfoot oil and finally a small amount of black shoe polish to help restore the colour. 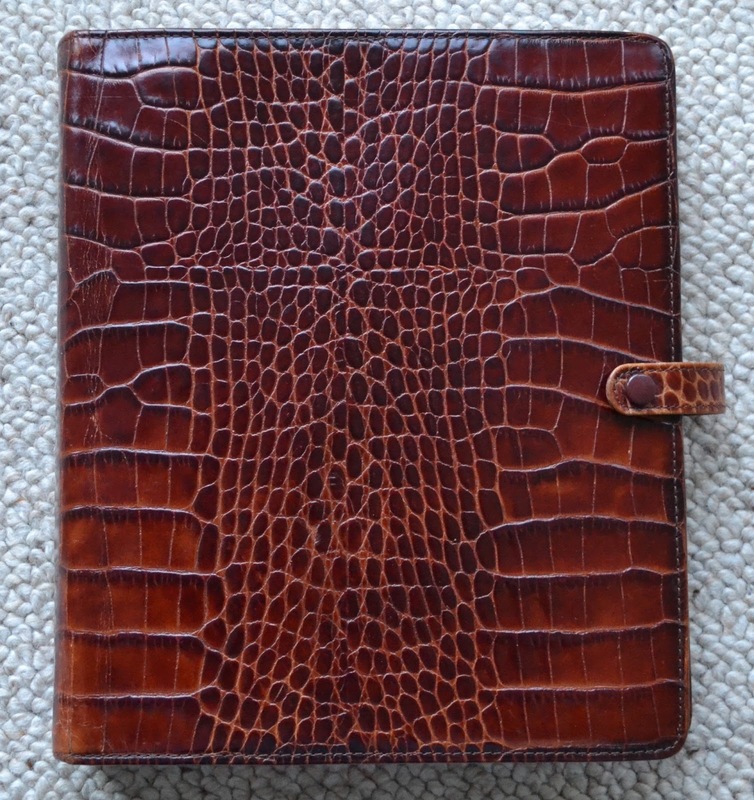 I'm really pleased with the results as the leather seemed to appreciate the TLC and now looks great. Of all the binders that I've owned, I think this is my preferred layout. 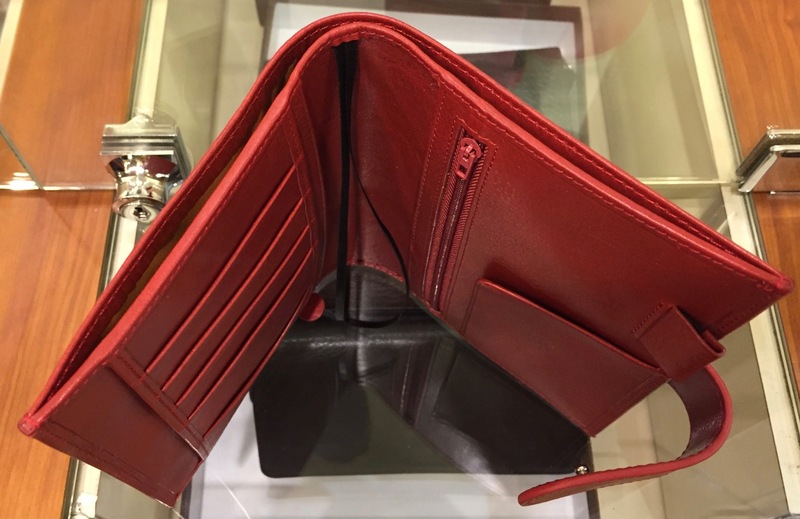 On the left hand side, there are eight credit card slots, with a full length pocket behind with a pen loop. 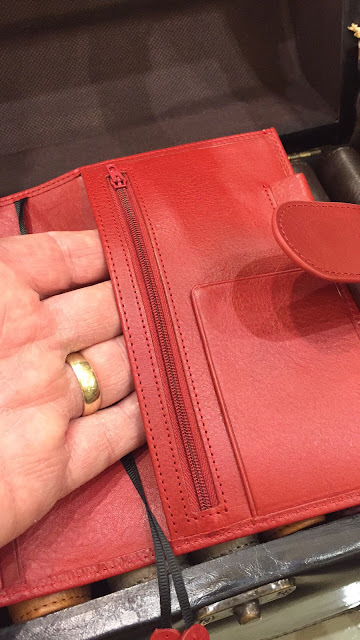 On the right, there is a full length zipped pocket, another full length slip pocket in front and a pen loop. 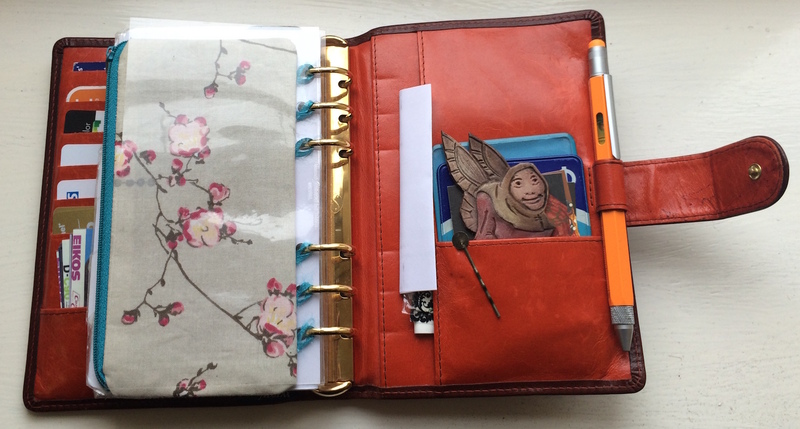 The two pen loops are very handy and I like that the zipper part of the right pocket is covered up. More info and other colours on the Filowiki. Whilst I'm a big Ascot fan, I think that I actually prefer the layout and print on this Dundee which I wasn't expecting. 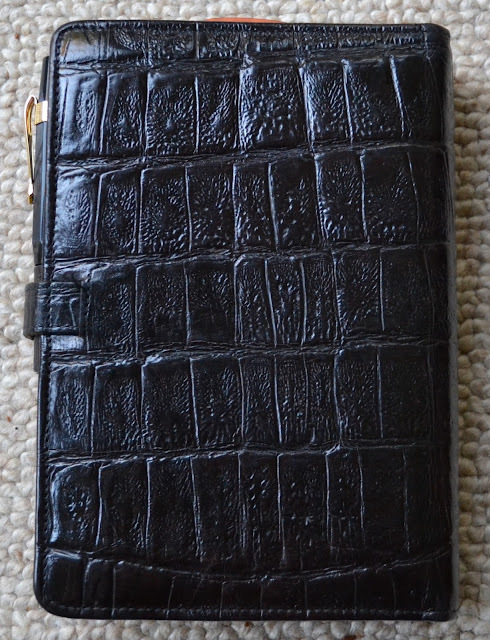 It holds lots, will wear well and I can use it as a wallet. Just noticed the cat photobomb! Thank you to Sharon for sharing with us her favourite organiser. I bought it last November. My Dad, who’s never quite sure what to buy me for Christmas, gave me money. It was no contest what I spent it on. The quality and the colours … Van der Spek’s outstanding work and customer service has now made me very picky about where I buy organisers from – it’s either them or pocket-sized ones from Japanese craftswoman Akiko. 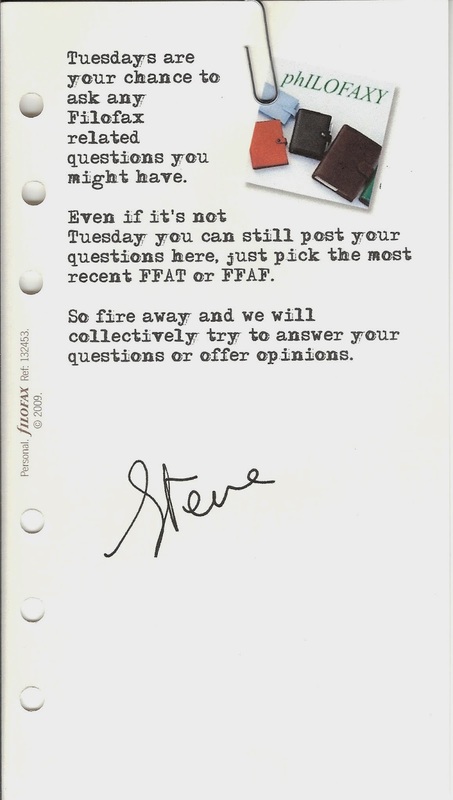 Filofax, please take note! Yes. It gets thrown in and out of the car, chucked into bags and bounced on and off desks. It still looks pristine! I think I was a bit overwhelmed by the amount of choice, so I chose the colours and went with the normal design. In retrospect, I wish I’d gone for a secretarial flap in the front, and also done away with most of the credit card slots, which I don’t use much, in favour of maybe two or three wider horizontal pockets. 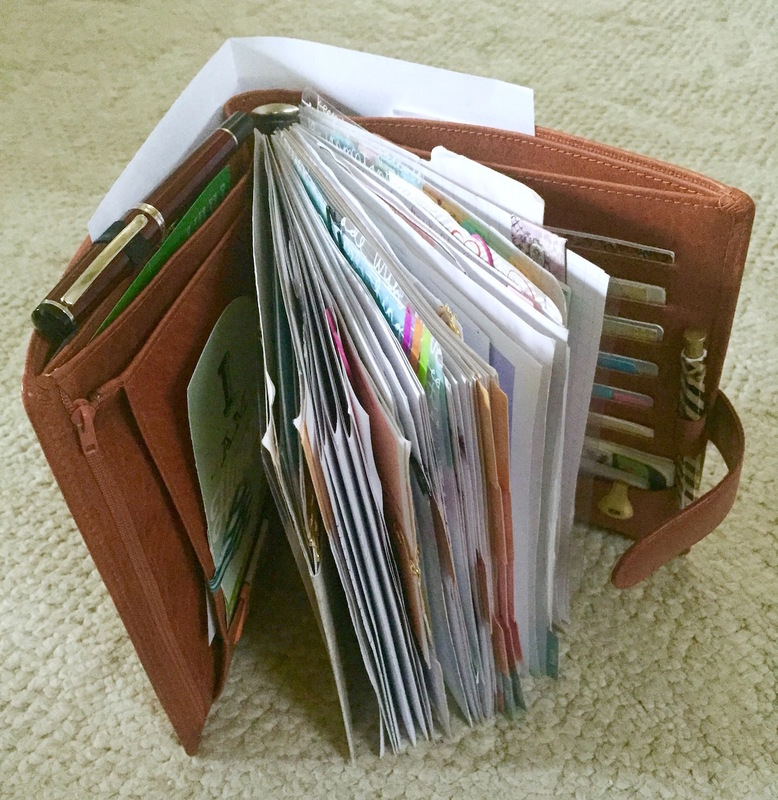 I’m freelance, and want to be able to store business cards in the front pockets, but the present size won’t take my bigger cards, and the smaller ones are difficult to fish out quickly. But it’s a minor issue in the scheme of things. 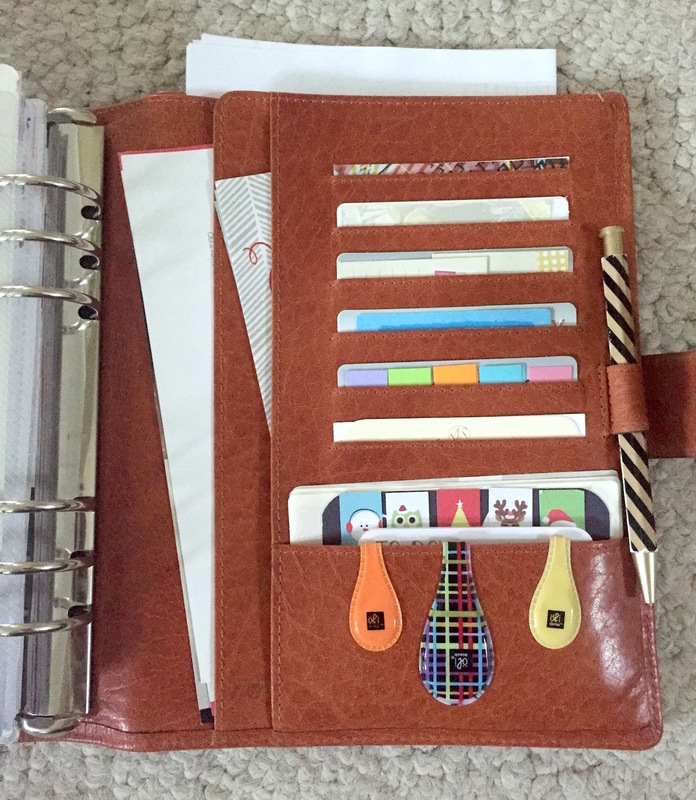 Sharon Wheeler is a freelance writer, editor and stationery addict. She is co-editor of www.crimereview.co.uk, one half of Two Fat Vegetarians (twofatvegetarians.wordpress.com) and tweets at @Lartonmedia. 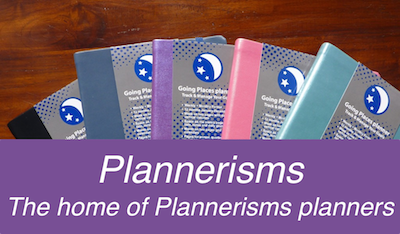 I have a confession, I am not using a Filofax as my main planner currently. For some reason, I've been feeling a bit all over the place with unprocessed notes and half finished scribblings everywhere. I have set up a pocket Moleskine with lots of lists, with my A5 Ascot still in use for planning projects and for making notes. I have thought before that the combination of the flexibility of a ringed binder used alongside a bound notebook could work for me. However, I suppose I haven't wanted to mess with a set up that normally works. I know that eventually I will move back into a personal sized binder, but I think I'm actually enjoying the restriction that a notebook creates right now. I think that sometimes it's too easy for me to start something on an insert, get distracted and forget to go back to it. Have you recently been tempted to completely change your set up? And as it's Friday, please feel free to discuss anything related to organisers and relevant topics. After talking with people at the meet up last weekend and listening to their comments, a radical thought slipped in to my mind on the journey home. 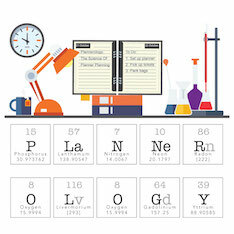 Did we start a renaissance in paper planning? Think back about 5 or even 10 years and there wasn't the same level of social media usage, the same amount of activity on blogs or You Tube. In the last 5 years I think you will agree that we have certainly seen a massive interest in paper planning, or an increased awareness of it. 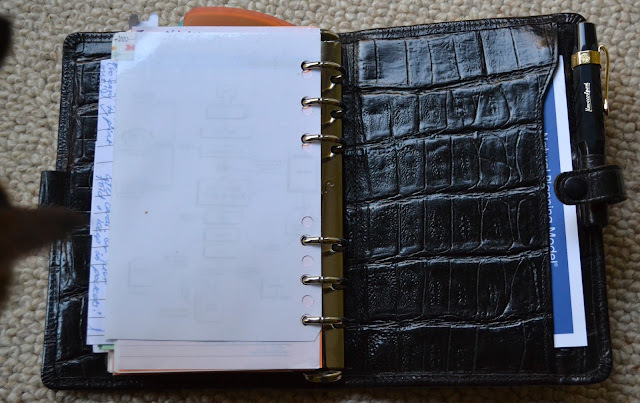 Not just in ring bound organisers but in paper planners in general terms. Now if you look at how the commercial companies have reacted to this increase in levels of activity. Filofax have just about managed to keep things ticking over they are still seen as the big seller in the organiser market. Their market share though has reduced in the last couple of years. However, their dominance is being attacked at all price levels with companies coming in to the market such as Kikki K, Websters, Paperchase all producing colourful organisers at the lower price range. The discovery of Gillio and Van der Spek at the luxury end of the market has also made people think about spending money with Filofax in the hundreds of Dollars, Pounds, Euros price brackets. Did we start a revolution? Have we saved a few companies from going out of business, or at least saved them from stopping organiser production/sales. And with the increased activity in the world of social media have we encouraged new companies to come in to the market? 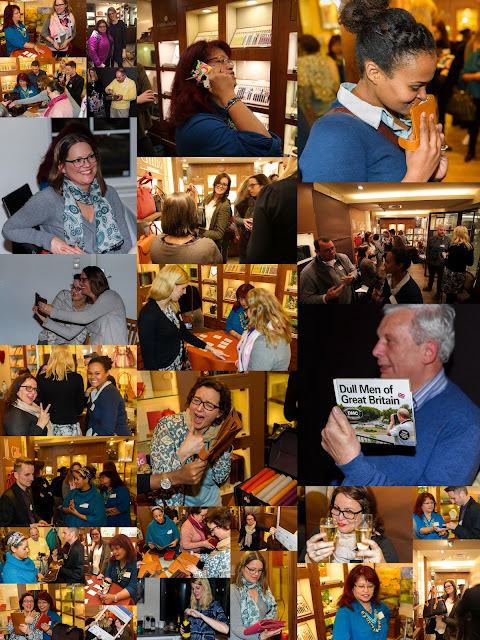 I wouldn't claim to have done this singled handed... no it has come out of a lot of mutual co-operation and a lot of networking and bringing people together to share their love and passion for paper planning. I looked around the restaurant on Saturday evening and thought. Who would have thought that all these people would have come together to share so much laughter and so much shared values more than 5 years ago? More than 5 years ago you would never have thought that your organiser was the key to the growth of your circle of friends! It just makes me smile and happy to think what a wonderful community we have created. 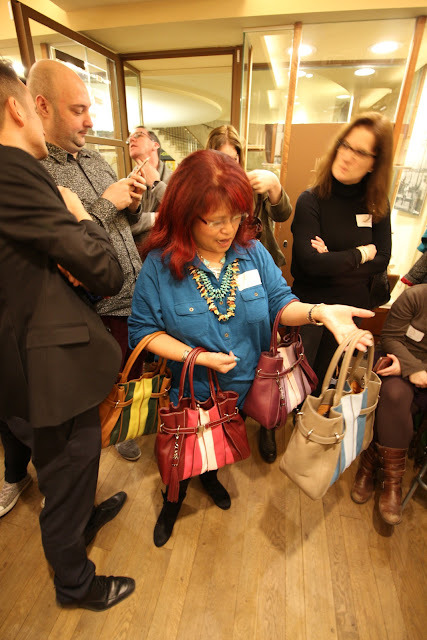 I have done more meet ups over the years than I can count, I honestly can't remember what the total is now, but this last weekends meet up in Brussels is going to be one that I am not going to forget in a hurry. Meet ups are not just about looking at other peoples planners and enjoying good food together, they have become quite a social occasion with lots of fun and laughter and dozens of photos of course! 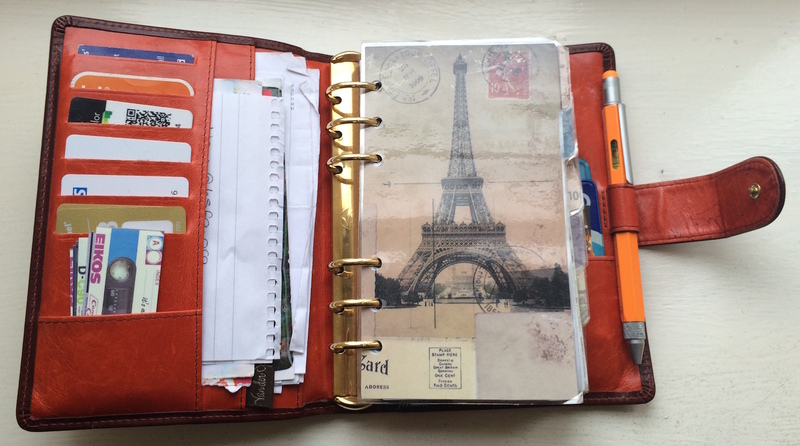 The organiser/planner is just the thing that links all the people together in a way. I've always found the experience of a meet up difficult to describe to others that have never attended one. They are very special in a lot of ways. 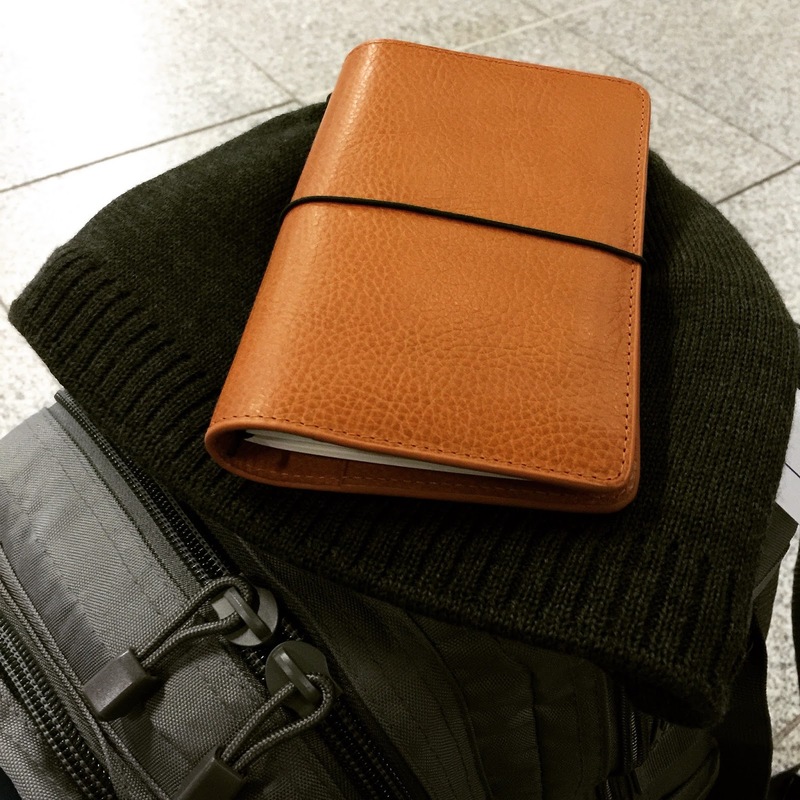 On Thursday, I travelled to Brussels by train via Paris, the idea of going early was to help out the team on the Friday and also to make sure there were no last minute travel problems. After all it is not like I have to 'take a day off work' !! My plan was nearly doomed when the French TGV trains stopped running for a 24 hour strike on the Wednesday. The strike ended at 08:00 on the Thursday morning and my train that left at 09:07 left on time and I got to Paris in good time. A quick journey on the Paris Metro and once I was through security I was on my next Thalys train heading for Brussels. Enough of introductions, I'm sure you all want to know about what was announced at the main event on the Saturday. 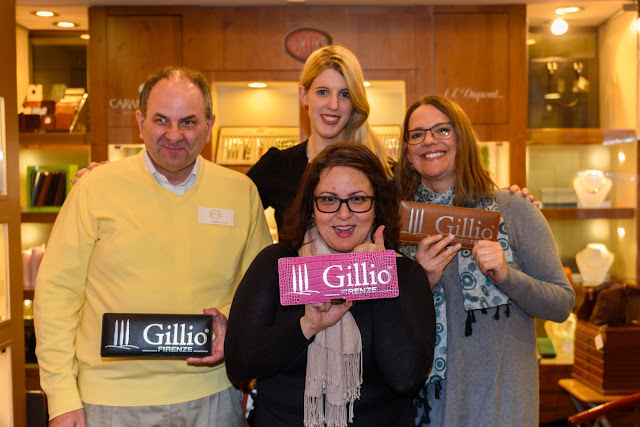 Gillio listen to their customers and at their regular staff meetings they bring together these ideas and discussions and they discuss these ideas with their artisans in Italy, what can be made and when. 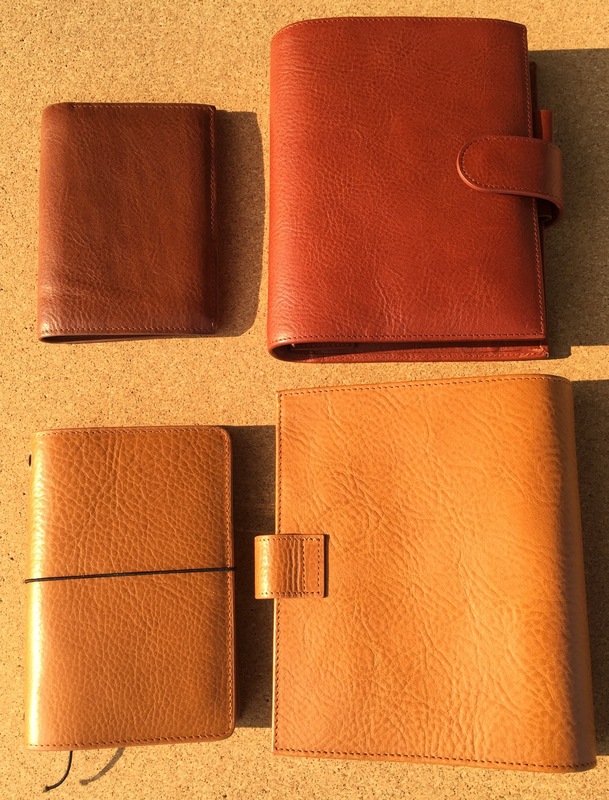 Prototypes are made and tested out before items are put in to full production. 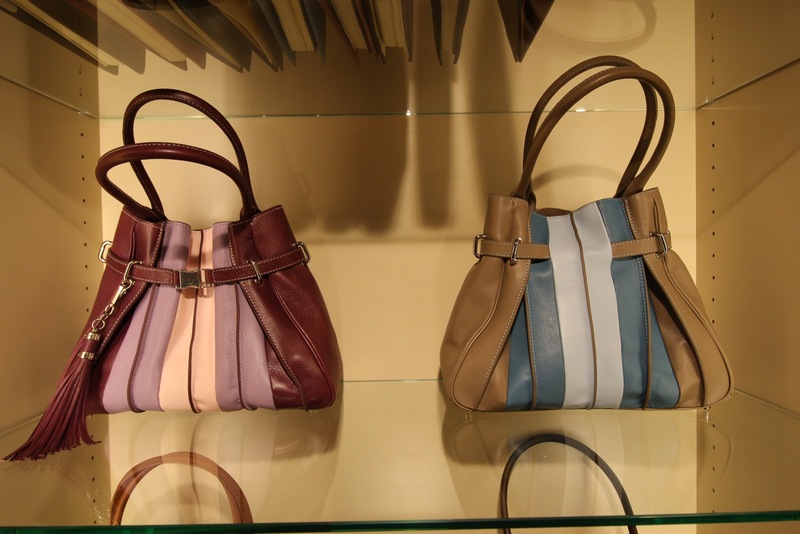 One colour in the palette of leather colours that was discontinued has been re-introduced. It is a yellow leather, Gillio colour number 771. After several trial hides they managed to get a very close match to the previous colour. 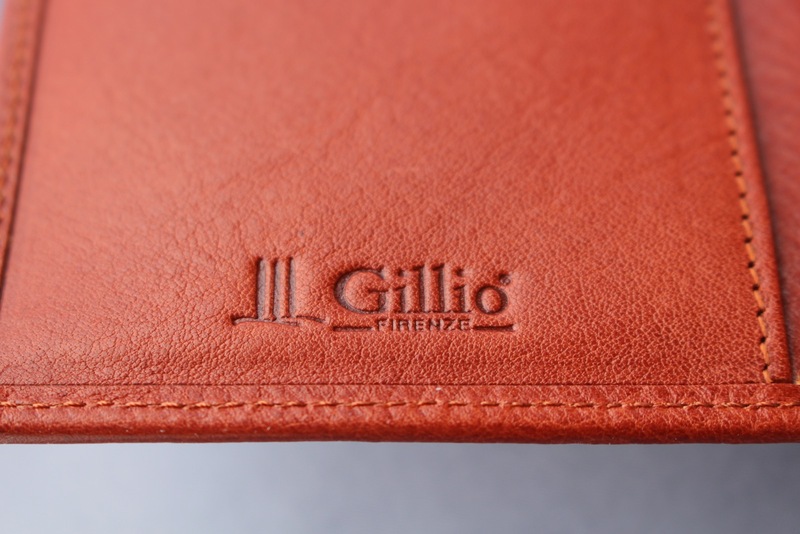 They have produced a whole range of items in this leather and these will go on sale later this week, see the Gillio website for full details. 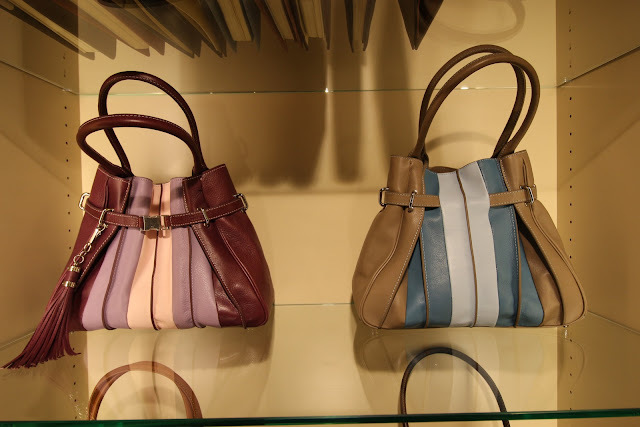 Gillio also announced some new bags which will go on sale also later this week, here is a sneak peek of them whilst they were still on the shelves. 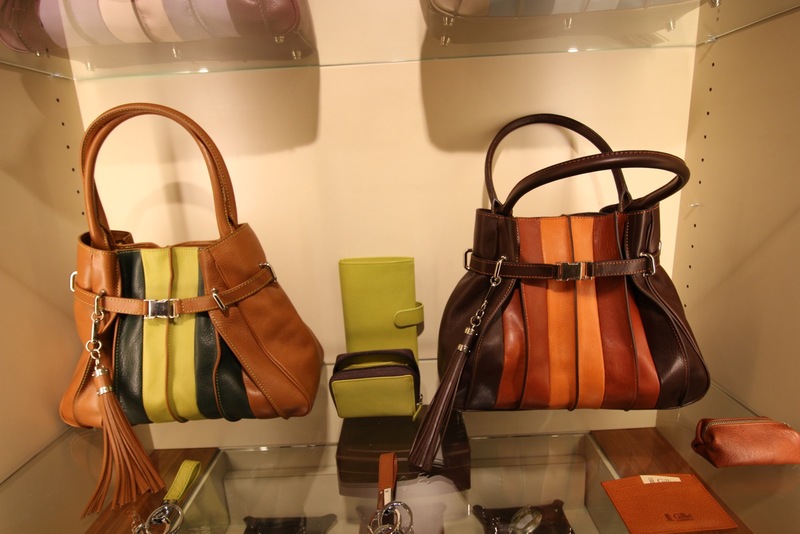 They are in tri-colours that match their other leather items in these same colours. Full details will be on the Gillio website by the end of the week. 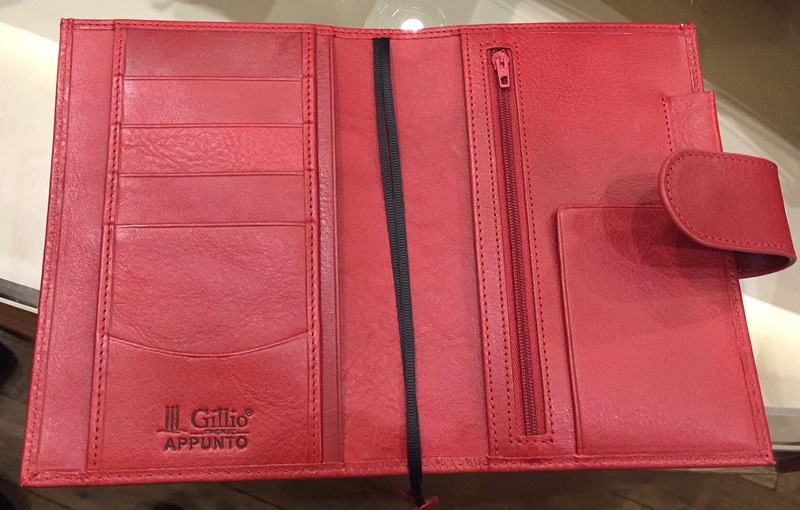 Finally Gillio revealed the Appunto notebook covers in A5 and A6 sizes in five colours initially. Although I suspect the colour range will expand over time. 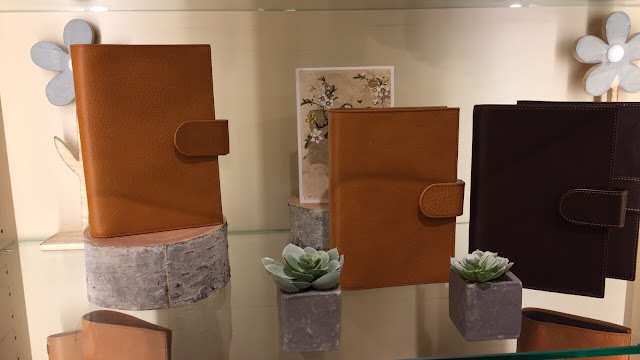 This product was a classic example of interaction with their customers who have gone from ring bound to Hobonichi type bound planners, but still wanting to use a high quality leather cover. 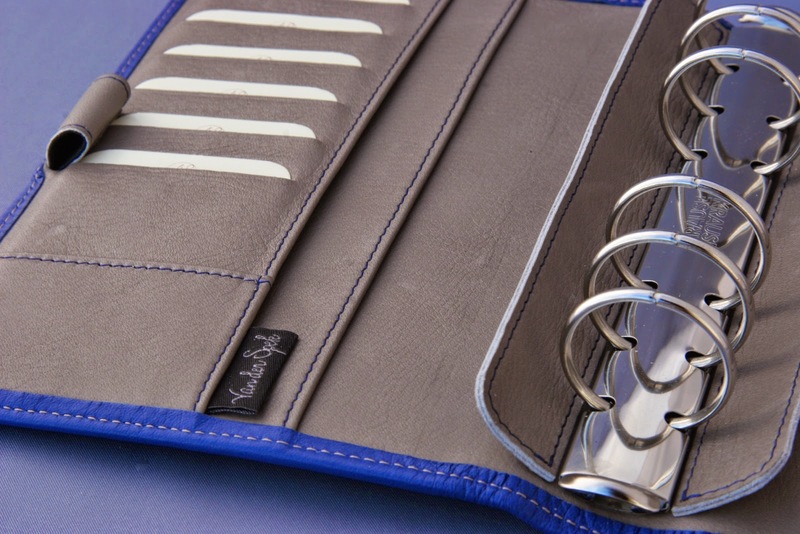 Looking at the design in detail it is similar in a lot of ways to a ring bound planner with a full suite of pockets, just no rings in it. This is the A6 model. We all got a turn to have our photos taken for 'Gilliobook' I did check it first to make sure it didn't say 'Wanted for serious enabling offences' !! Then this happened.... well it was my birthday! Paul Van Haelen gave a speech to thank everyone for coming along and read out some quotes from the Facebook Groups, which were all very amusing. But before he could sit back down I leapt in to action and informed him that we were both members of a very exclusive 'club' in fact I think he might be the only member of this 'exclusive club' in Belgium. He looked at me a little confused at first. 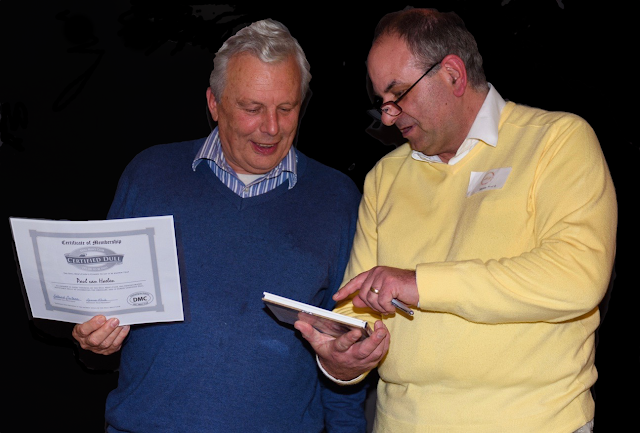 Then I presented him with a copy of the book and a certificate of membership for the Dull Members Club of Great Britain and pointed out my own entry in the book! 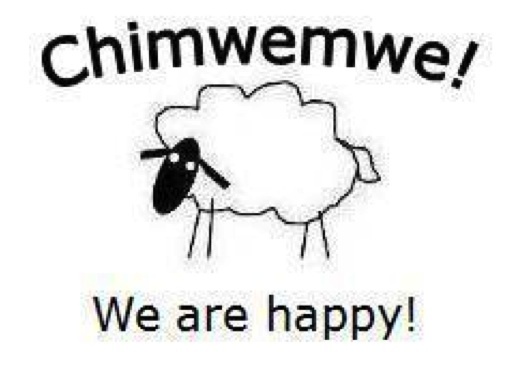 He took it in good humour...phew! 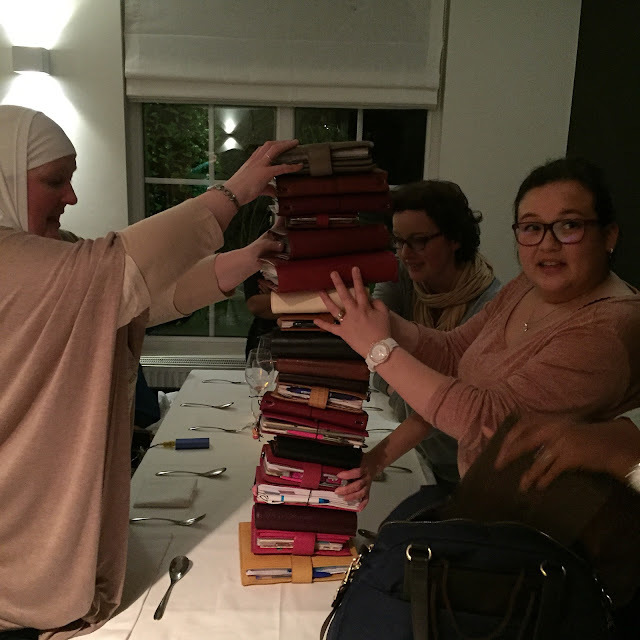 There was of course a Planner Tower to build.... carefully and without it collapsing! 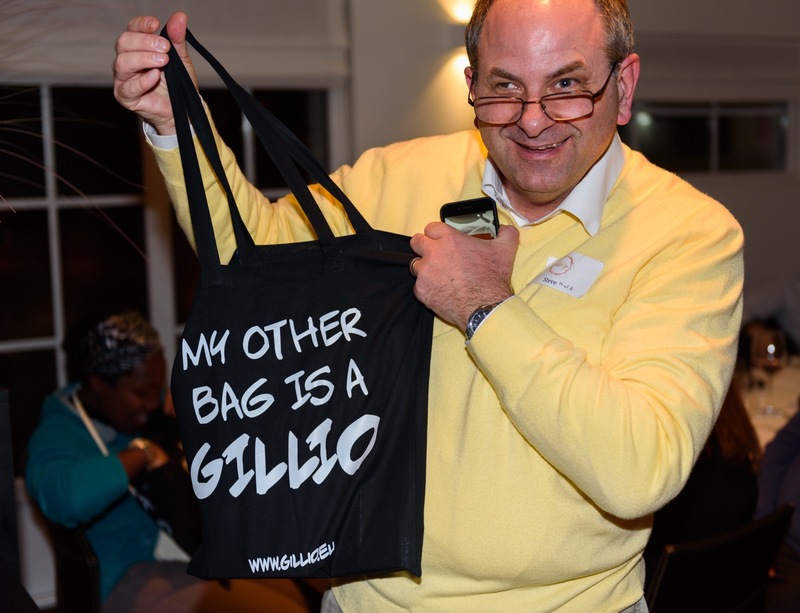 Mella asked me to join her again and announced that they had a very special gift for me from everyone at Gillio for my birthday and also for all the work I had done in the planner community... I for once was totally lost for words when I opened my present. 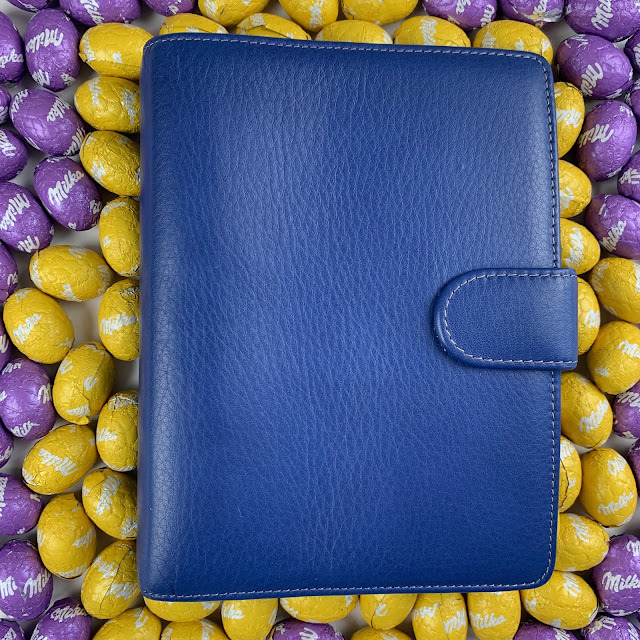 Here it is in day light at home, it is a Gillio A6 organiser in the new yellow leather, but how special is the front cover. 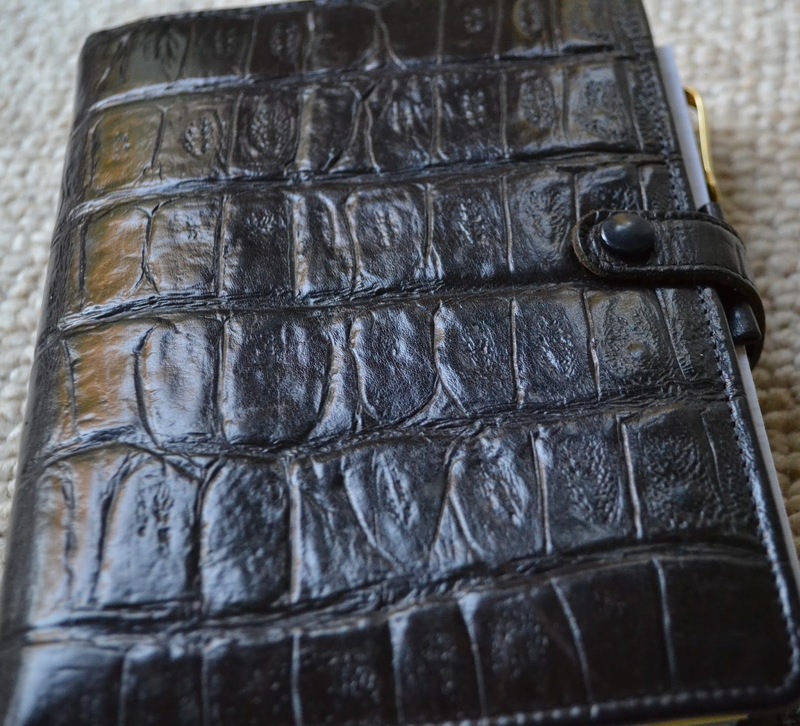 I immediately put some blank page in to it and a pen in the pen loop and passed it around the people and they all wrote some lovely messages in it. No (birthday) party is complete without goodie bags to take home? Once again Mella and the Gillio team shocked us all by handing out some goodie bags with some lovely gifts in them. Finally I will go back to Friday evening, Mella had hosted a party and after our food she asked me to stand with her and she explained that for some time there had been some confusion between me Steve Morton and Steve Benois. In the past I have received messages asking me when they might be receiving their order or had I processed their refund yet. 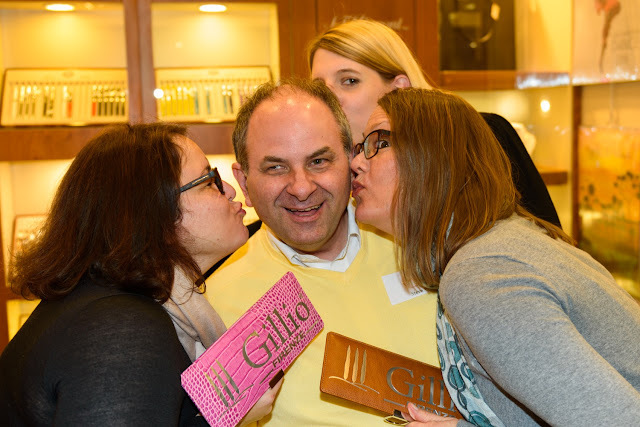 Someone even pointed out on the group, 'Did you know Steve Morton is on the pay roll now, his email address is steve@gillio.eu' !!!! Err... news to me! Thank you to everyone who made this weekend a very special one for me and for everyone else who attended the events over the weekend. Lots and lots of happy memories to think back over. 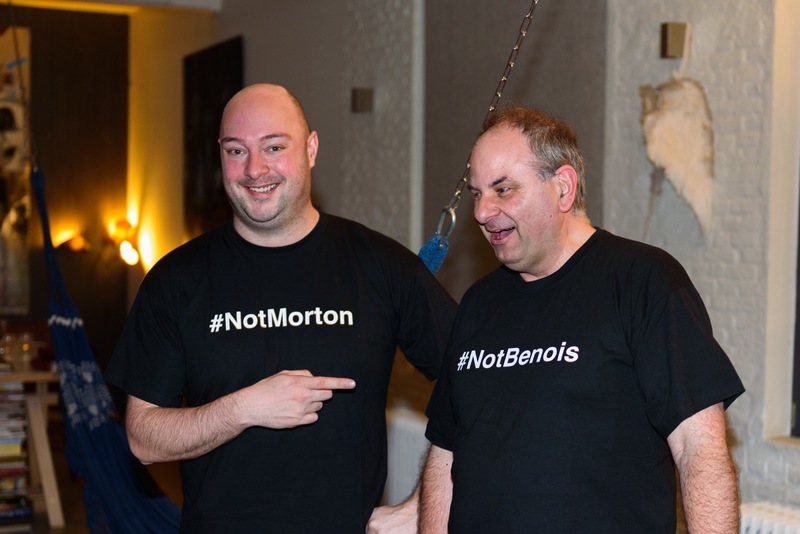 Thank you to Steve #NotMorton for some of the photos in this post. 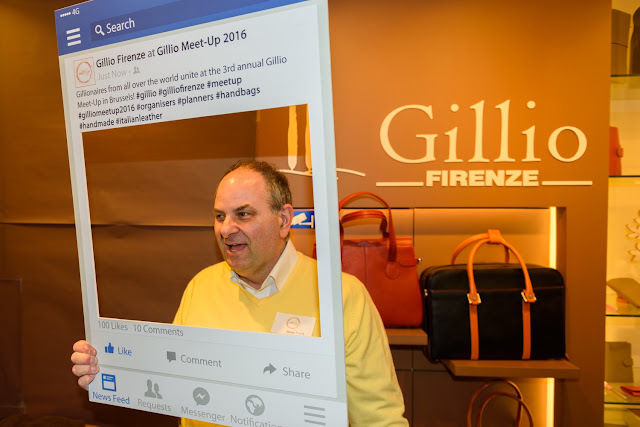 And in case you didn't see the video's they are on the Gillio Facebook page.